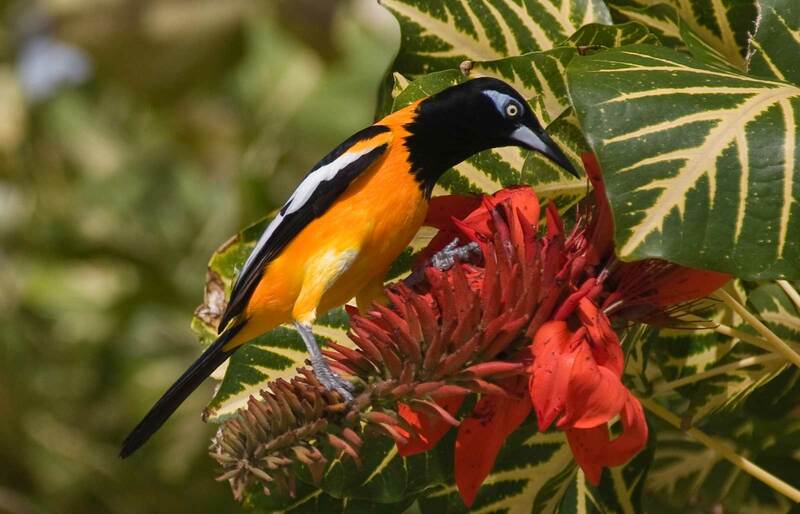 On Bonaire, we know two species of birds which are classified as troupials, the Venezuelan Troupial or Orange Troupiaal (Icterus icterus) and the Yellow Oriole (Icterus nigrogularis curasoensis). A striking bird, the Troupial is a large oriole with sharply contrasting bright orange and black, with bright blue around the eye and at the base of the bill. Although native to Aruba and Curacao, the Troupial did not originally occur on Bonaire but was introduced and has now become common. The Troupial do not construct their own nests, but are instead obligate nest pirates. 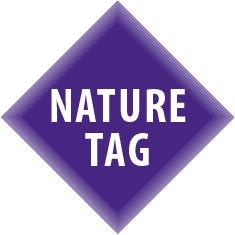 This means that they make no nest of their own, but instead must either find a vacant nest, or must drive the adults away from an active nest. 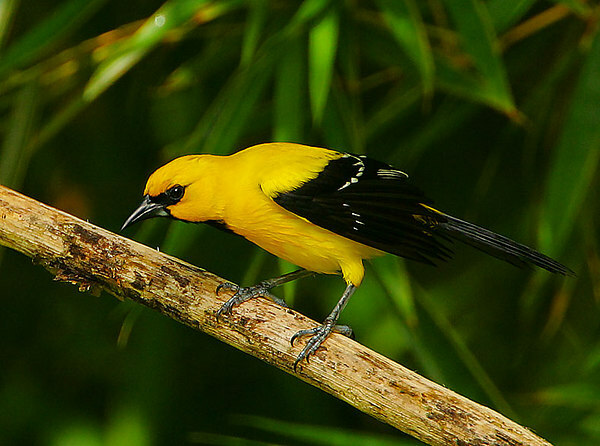 Venezuelan troupials are capable of violent attacks against established nesters. Upon taking over a nest, they may eat any eggs or young nestlings remaining in the newly acquired nest, and will fiercely defend the area against would-be intruders. Eventually the adult Troupials go on to produce their own clutch of three to four eggs that hatch after about two weeks of incubation. Trupial Kachó (the Dog Trupial), based on the barking sounds it makes. 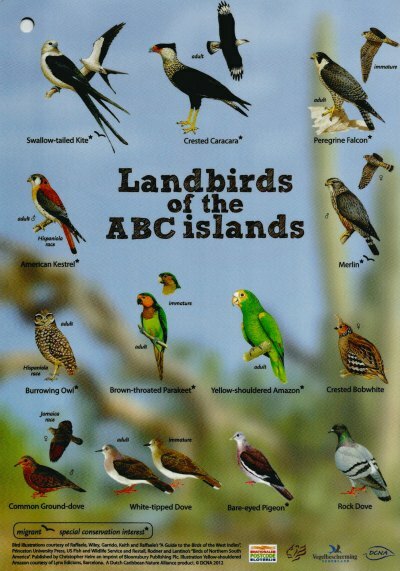 In Papiamento the bird is called Gonzalito. 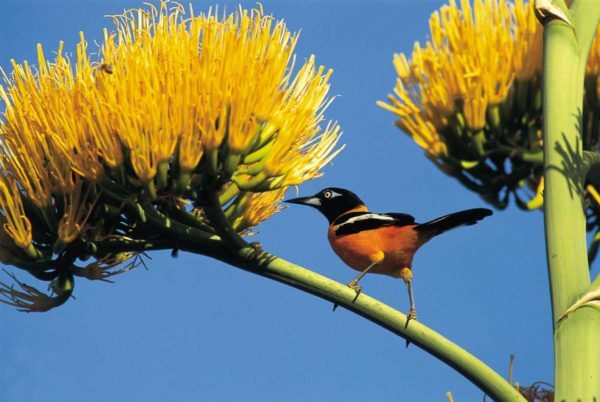 Few people realize that the yellow oriole, or Trupial Kachó, is a highly skilled singer, and that these animals can produce the most wonderful tunes. 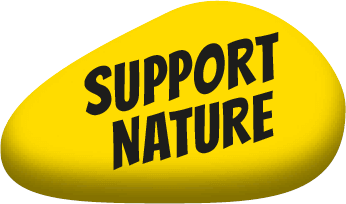 Yellow orioles make complex nests, looking like elongated grass-bags often attached to a very thin twig in which the eggs and young are rocked by the wind. The menu of the Troupial and Dog Trupial consists mainly of insects like beetles, flies and grasshoppers. But if there is some ripe fruit hanging around they will not hesitate to eat it.